That’s L.A. County, the largest in the nation. We’ve got 88 different cities up in here, not to mention all the many council members that comprise them. Making our home a more bikeable is no easy task, but it’s been a multi-faceted battle that continues to move forward. 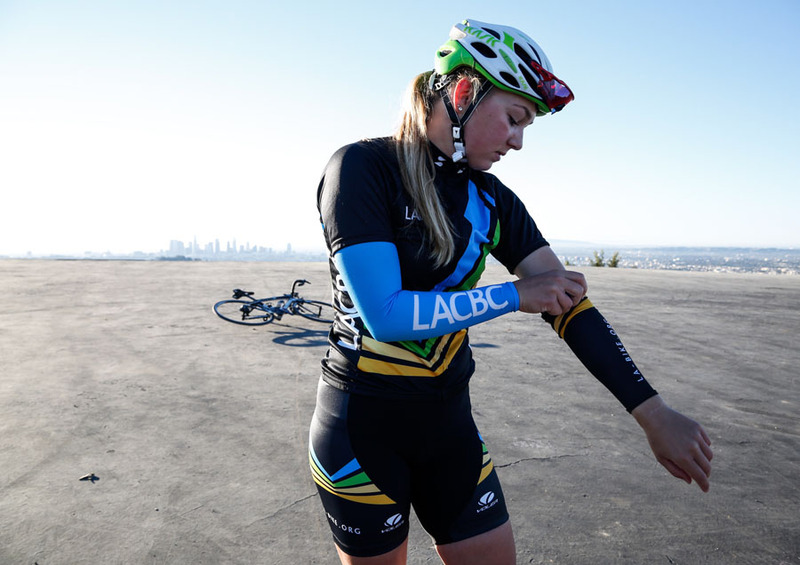 I’ve been a supporter of the Los Angeles County Bicycle Coalition for many years and now fortunately work for them (do I need to say full disclosure anymore?). Before I made payroll, I would recognize the organization’s colors represented tabling at events, meetings, CicLAvias and so on. Even wearing their t-shirts has brought me some street cred in places I wouldn’t have thought. Now is the closing days of their 2017 full release and you to can show why supporting cycling advocacy matters. Backing up our claim to back your local community, these kits were designed by local designer superdomestik, who’s work has already graced a number of magazine pages. It was also important to have the kits manufactured here in California with Voler producing them just a couple of hours up the coast. 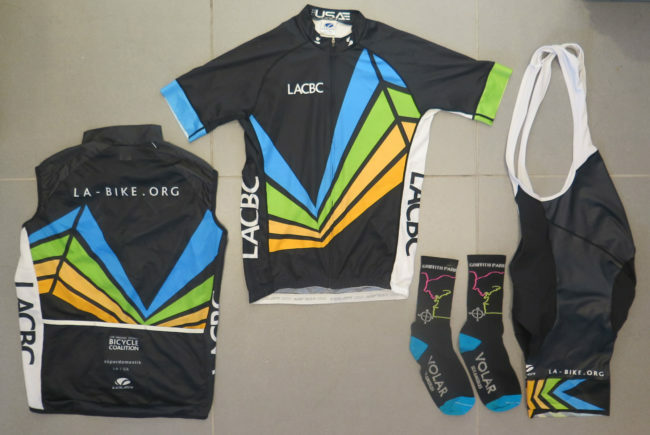 I got my kit a couple of months ago and it’s funny how most people recognize the LACBC part rather than me (that also means you mom).